Our garages have big responsibilities. They keep our cars — or whatever you store in yours — protected from theft, damage, and nature’s elements. Oh, does mother nature let us have it here in Utah! The desert sun blazing down, brutally burning everything in its wake all summer long, then dumping foot after foot of heavy snow all winter long. In addition to our bouts of thunderstorms and the occasional tornado, the weather is usually the reason we invest in an enclosed garage, to begin with. 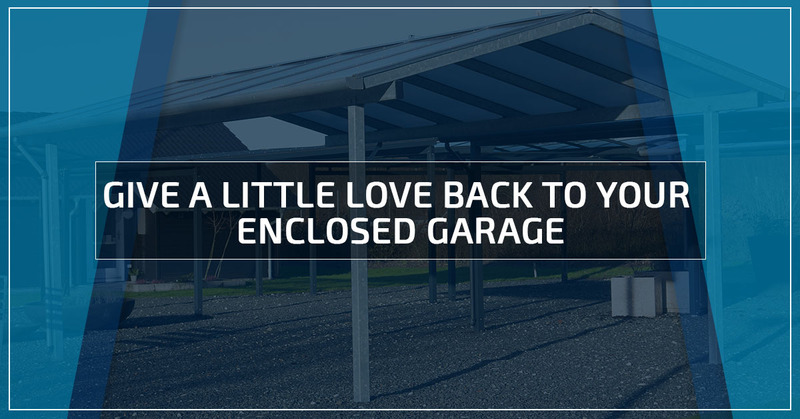 With all that battering your metal garage takes to protect what you store within its walls, every once in a while, it is a good idea to return a little love. Here are a few ideas on how to maintain your garage to ensure it continues to offer the same great protection for years to come. Regardless of whether you have a metal garage that stores your ATVs and lawn equipment, or a three car garage that is attached to your home which holds the fleet that carries your brood, your garage is exposed to some dirty stuff. Since it is not a part of our home, it is often overlooked and not included in the routine cleaning chores. Every once in a while — maybe during Spring cleaning and again for Fall maintenance — it is a good idea to remove all the large equipment and spray the surfaces down with a hose and scrub areas that need it. This allows you to rehome any critters that may have set up residence in your garage as well as remove any chemicals, such as engine oil, that may have contaminated the area. Your garage is meant to protect your belongings, but to do so, it must be in the optimal condition. Prevent your garage from being damaged by removing heavy loads of snow — if you have a vertical style roof, chances are this is taken care of for you — to reduce the load the roof must hold.Although your roof is capable of holding the weight, if it left season after season, it may compromise the integrity of the roof and shorten the lifespan. If you use your garage to park your vehicle, it is a good idea to hang a ball to mark where your car should stop. This helps prevent door dings on the walls, and also helps protect your car — a real win-win scenario! Upgrading a garage is relatively easy and inexpensive and makes your life much more convenient. Add an automatic garage door with safety sensors to allow you to open and close the garage without leaving your car. Insulate the walls to help keep the temperatures down in the summer and warmer in the winter, for a how-to, read here: How to Insulate Your Metal Garage. Finish the floors by either cleaning, staining and sealing cement in a traditional garage or by laying laminate flooring or a nice rug if your garage doubles as a work studio. Adding cabinets is an easy way to upgrade any space and make it more neat and organized. Your enclosed garage has the potential to be so much more than 4 walls and a roof resting on a concrete slab! 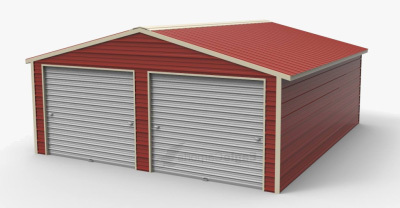 For other garage upgrade ideas, check out our other blog, How to Upgrade Your Metal Garage. If you don’t currently have an enclosed garage and are in the market for one, look no further than Wholesale Direct Carports of Utah! 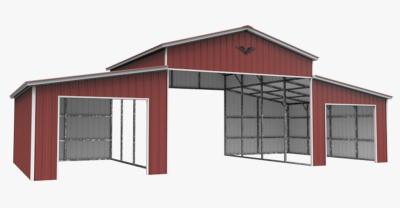 We have customizable garages to suit your needs and can insulate it during construction. 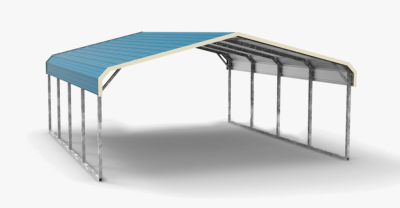 When you buy a metal building from Wholesale Direct Carports, delivery and installation are free of charge! Check out the options for our metal garages and then give us a call — one of our metal building experts is anxiously waiting to assist you! We look forward to working with you soon.